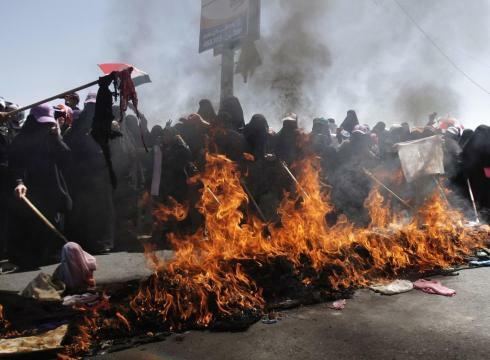 Women in Yemen are making their voices heard, through dramatic protests aginst the brutal government crackdown. “I am delighted to send heartfelt congratulations to Liberian President Ellen Johnson Sirleaf [see previous post “Ellen Johnson Sirleaf: ‘A Victor of Circumstances’”], Yemeni activist Tawakkul Karman and Liberian peace activist Leymah Roberta Gbowee for the prestigious honor of sharing this year’s Nobel Peace Prize. They are shining examples of the difference that women can make and the progress they can help achieve when given the opportunity to make decisions about the future of their societies and countries. 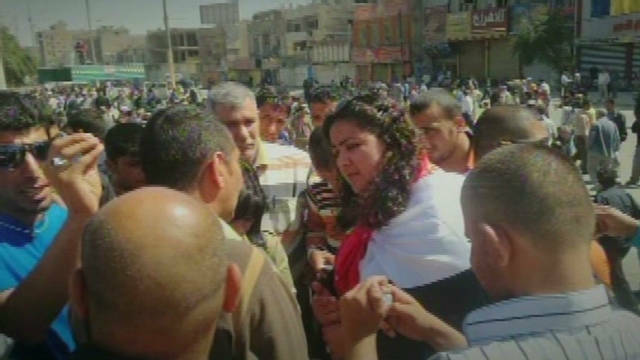 Here’s a fascinating article with video from CNN on Iraqi women’s rights activist Noof Assi. She is often at the forefront of demonstrations in Iraq demanding basic services and reforms — but her road from child to activist has been dogged by bloodshed and violence. Noof is a fabric design major turned activist and blogger, working at the human rights group, al-Amal, which means hope. UN Women is hiring for several positions in New York and worldwide, including Arab States Regional Director, Communications and Outreach Specialist (EVAW), and Programme Specialist (Gender and Governance in Fragile and Conflict Affected States). Act fast – applications are due soon!